You hate to see a great talk-show host go bad. 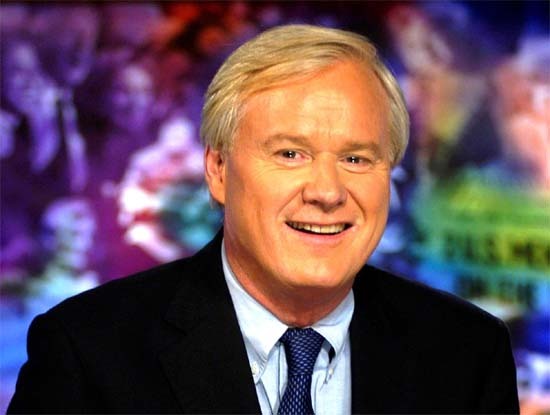 Few political hosts combine the raw love of politics, evenhanded skepticism, impatience with canned answers, and sheer capacity for spoken-words-per-minute of Chris Matthews. He can be a delight. However, viewers are getting something extra with their Hardball these days: bizarre flights of fancy. Matthews, a Carter speechwriter and chief of staff to Tip O'Neill, is far from a down-the-line lefty (see, for instance, his charming piece on Ronald Reagan in NR's June 28 issue). He ripped Clinton during impeachment, mocked Al Gore's campaigning style, and praised George W. Bush's post-9/11 leadership. But in the last two years, Matthews has theorized more and more about a sinister "neoconservative" cabal pulling the strings of Bush. While there's little doubt that conservatives, neo and otherwise, have a strong voice in Oval Office discussions, the Hardball host tends to see the fingerprints of the shadowy neocons near every administration decision and misstep. Take the Abu Ghraib photos. For days, Matthews hammered guests about where the chain and dog collar in the infamous picture possibly could have originated. On May 26, he interviewed Brig. Gen. Janis Karpinski, who commanded the Iraqi prison system at the time of the abuses. "So who was it at the top of the chain who gave these guys and these women, people like Lynndie England, the leash and the dog collar she used in that picture?" Matthews barked. "Who gave it to her?" Matthews seemed to believe that top Pentagon officials, eager to promote the humiliation of prisoners, sent dog collars special delivery to Abu Ghraib. The more humdrum explanation is that leashes and dog collars might have been kept somewhere near . . . the prison's guard dogs.